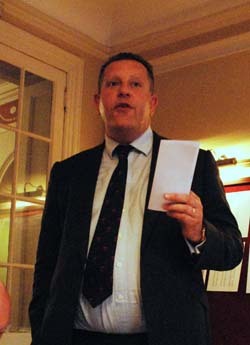 A meeting of Common Hall took place on Tuesday 22nd June at the Cavalry and Guards Club. A meeting of Common Hall is called at the behest of the Master, and is open to all Liverymen. As Master Susan Wood explained in her opening comments, the principal purpose of Common Hall is to share information. This year’s meeting looked at three matters; our charity, membership of the Company, and the Historical Committee’s current project to develop our knowledge about a period during which there is a paucity of information available about the Feltmakers. 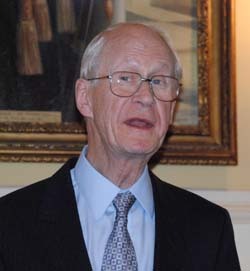 Past Master John Curteis gave us a most informative update on The Feltmakers’ Charitable Foundation, about which some further details are also available elsewhere on this website. The Trust Deed was updated last year, and instead of the previous four, there can now be a maximum of eight, Trustees at any one time. The primary functions of the Trustees are to review the financial circumstances of the charity, to consider ways in which income can be generated for the fund, and to consider applications for grants. 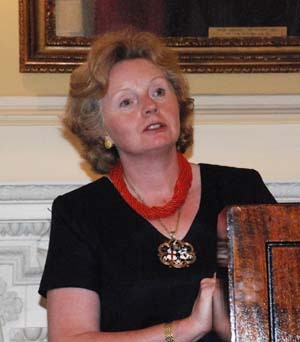 Principal sources of income are the St. Clement’s Fund, to which most Feltmakers subscribe, income from the investment of Trust funds, and the fundraising events organised by each Master in turn, such as Master Susan Wood’s evening at the Cabinet War Rooms this year, together with initiatives undertaken by individuals, such as our Clerk’s rowing adventure last year. The fund is also supported by a grant from the Haberdasher’s Company, which contributes to the payments made to pensioner hatters each year. In terms of grants made, the Foundation supports, among other trade-related causes, the annual Hat Competition and Award, a Christmas lunch for pensioner hatters (in addition to the small annual grants to individuals), and sponsors a trainee milliner. The Foundation also supports City causes, such as the Lord Mayor’s charity for the year. A grant is made to the Cadet Forces Association, and also to the Sea Cadets, with a small sum also going to HMS Lancaster. A number of grants are also made to support initiatives, such as Providence Row, a facility for homeless people, and Treloar College, for young people with disabilities. Numerous small awards are also made to a variety of charitable causes. Our Company is keen to do as much to support the Foundation as possible. This year, Assistant Simon Millar has undertaken a Pathfinder March. Individual contributions such as this are very much welcomed, as are the donations made to the St. Clement’s Fund by members of the Livery. Ideas for possible beneficiaries of the fund are welcomed by the Committee, as are offers from those who wish to help raise funds. The Master, whose theme for her year is membership, gave us an overview of the current position. Numbers have remained fairly stable in recent years, with the number of Liverymen fluctuating between 165 and 175. The status of ‘Honorary Liveryman’ is a form of membership accorded to selected individuals by virtue of the office that they hold, or have held, for example that of Chaplain. Last year, the Court agreed to extend this to past (and current) Commanding Officers of HMS Lancaster who are still serving in the Royal Navy. It is very pleasing indeed that all five have accepted. The category of Freeman was redefined in 2009, and this, more limited, form of membership is open to applicants aged 18-30, and to those in the hatting or felt industries who do not wish to, or who may not yet be in a position to become full Liverymen. It is hoped that this new form of membership will appeal to younger people, particularly those from our associated trades. It is important that we build for the future by involving people in the younger age groups. 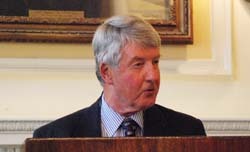 The category of Honorary Freeman was introduced in 2009, and is open to the spouses and partners of deceased Past Masters. Apprenticeship is one of the oldest forms of membership, and is open to those between 14 and 18 years. There are currently three apprentices, and we very much hope that they will become Liverymen in the fullness of time. Although the current level of membership is satisfactory, the Company is always looking to recruit new Liverymen and Freemen. However, as the Master made clear, this is not a question of numbers alone. We wish to welcome to our Livery those who will be both ‘good company’, and who are willing to make a contribution to the life and spirit of the Feltmakers’ Company. Past Master John Bowler gave us a fascinating account of the work currently being undertaken to fill some of the important gaps in our history. The 17th Century was a turbulent time, which included the dissolution and restoration of the monarchy, fire and plague. It was also a turbulent period for the Feltmakers, including great difficulties in the relationship with the Haberdashers, and with the City of London, which refused for a very long time to accept our Charter. Very few records, however, exist from this time, and there is a period of 46 years which has been lost to us completely. Recently, Stephen Freeth, formerly Keeper of Manuscripts at Guildhall, has undertaken some exciting research for us, which has already yielded some excellent results, including a 1666 version of our Coat of Arms, the names of some more of the missing Masters, Wardens and Clerks from the period, and an ‘Oath of Allegiance’ to William III, signed by 514 Liverymen following the exposure of a ‘horrid conspiracy’ against the king. Remarkably, five of those names are still represented in our Company today. We are very keen to retain the services of Stephen Freeth, and are grateful to those Liverymen who have most generously helped to fund the research to date. The Company is providing some support to the next stage of the process, but the project nonetheless stands in need of additional funds, and a number of fundraising efforts are underway. If you think that you can help, either by making a private donation, or helping with fundraising, or in the actual research itself, please contact the Clerk. 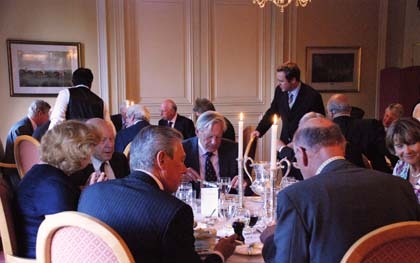 As is customary, at any Feltmakers’ event, the business of the evening was followed by a good dinner provided by the kitchens of the Cavalry and Guards Club, washed down with wines from their cellars. This was an informal dinner, with liverymen seated around tables for eight, and although not an occasion for speeches, after a few words by the Master, Simon Millar was invited to tell us about his very recent Pathfinder March. This involved Simon, with several hundred others, walking the 46 mile route that takes in all the original WWII airfields in Cambridgeshire used by the RAF for the Pathfinder raids. The event is a circular walk starting and ending at RAF Wyton, and participants have to complete it in 20 hours. Simon was sponsored and raised money for charities including our St. Clements fund.